Dogs are more than just furry animals that lay at the foot of your bed and require care. In truth, for many pet owners such as yourself, a dog is an extended member of the family. Some childless pet owners even treat their dogs just like children. Unfortunately, bogus claims regarding your pet may have you causing more harm than good to their health. Fortunately, many of the bogus claims you believe to be true can be busted with factual information. Truth: Although dry, hard kibble is good for your dog’s teeth, it is not enough to prevent a buildup of plaque and calculus – also known as tartar. It is important for you to incorporate dry kibble into your dog’s diet in order to remove debris from between the teeth, but it often does not work to clean around your dog’s gums, which is where plaque and tarter is often found. Plaque and tartar buildup in your dog’s mouth can lead to gum disease, which is often associated with heart disease in both humans and dogs. In order to properly clean your dog’s teeth, you will need to setup a dental regimen. Incorporate raw meaty bones into your dog’s diet. The flexibility of the bone can often assist with the removal of plaque around the gum line. Furthermore, invest in a doggy toothbrush or visit your local veterinarian for assistance with teeth cleaning. Truth: When it comes to raw food products for your dog, keep in mind that not all raw food is created equal. Raw foods often contain bacteria that is harmful for dogs. That is not to say that a raw food diet is bad for your dog. In fact, there are many veterinarians who support the benefits of a raw food diet. However, you must be careful where you purchase raw foods. Raw foods found in grocery stores contain higher amounts of bacteria than those purchased from dog food providers. The reason grocery stores carry foods with higher concentrations of bacteria is the fact that consumers typically cook the bacteria out of their meats. Since you will not be cooking your dog’s meat, it is best that you purchase raw food products from a company that deals specifically with raw pet food. Truth: Cheaper dog food brands often get a bad rap from pet owners who can afford to feet their dog expensive name brand foods. However, name brand foods are not necessarily the best choice for your dog. In truth, many popular pet food brands have suffered from food recalls for lacking a sufficient amount of a specific ingredient needed to maintain a dog’s health. In order to ensure that your dog is receiving the best quality food, look beyond the dog food label. Ask your vet how much of a certain ingredient your dog should receive based on their age and weight. Double check to make sure the dog food of your choice contains enough of that ingredient. Furthermore, make sure that the dog food you select contains all-natural ingredient and meats from disease-free animals. Truth: There are those who would warn you against the idea of dog food rotation with claims that it is bad for your dog’s health. Dog food rotation consists of switching up the food your dog eats periodically, such as on a weekly or monthly basis. Although dogs do not always handle having their food switched out very well, it can be good for them. 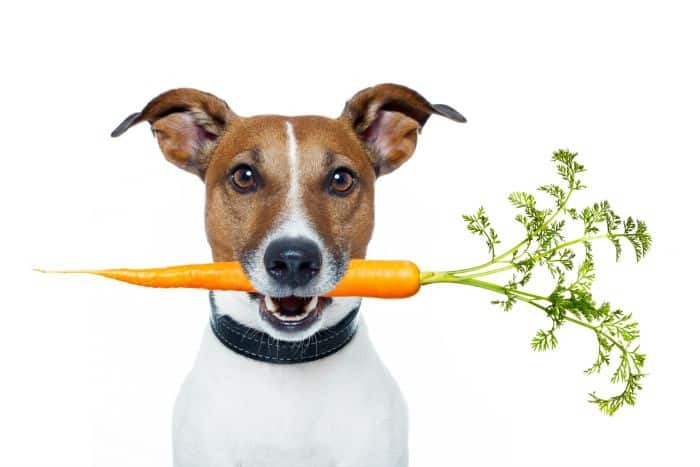 Rotating your dog’s diet allows you to minimize problems associated with foods that lack certain ingredients such as proteins, vitamin D, or other important, nutritious things that they need. Buying multiple kinds of food can get expensive. To help you save money, look online for vouchers and coupons for petsmart.com or any other dog food suppliers. By switching out your dog’s food from time-to-time, you are providing them with a healthier, more balanced form of nutrition. Truth: Many dog food manufacturers claim that dog food products containing glucosamine and chondroitin is enough to improve or support your dog’s joint health. The sad truth of the matter is that there is not enough clinical evidence to support this claim. If your dog suffers from joint health issues, you will still need to incorporate a NSAID treatment recommended by your vet. By busting these claims, you will be able to provide your furry family member with a healthier, happier lifestyle than ever before. Be sure you speak with your pet’s veterinarian if you have any questions or concerns regarding claims, myths, or your pet’s health. I never give my dog anything but dry dog food and occasionally treats. I didn’t know about the tartar build up from the dry food. I may invest in the doggy toothbrush! I have stuck witth aa particular brand for many years and haave had great sucess. I have my animals from whenever until they pass from old age (or some cancer ) I think so much of it depeends on what your comfort level is, doing your best, and staying informed about recalls. Great info in this article. We do switch out our dogs’ food but learned the importance of doing it gradually. They both had issues (loose stools) like clockwork – when we made changes without slowly switching over. I would imagine that some dogs have no issue though. Thanks for all the great info. How can I get my dog to eat dry food? It seems he only wants “people” food. Do I mix them together and hope he isn’t smart enough to know? How much people food is good/bad for him?